The history of the Supermarine Spitfire and its contribution to the defense of Britain and the air war in general is well documented in articles and reviews on the subject. 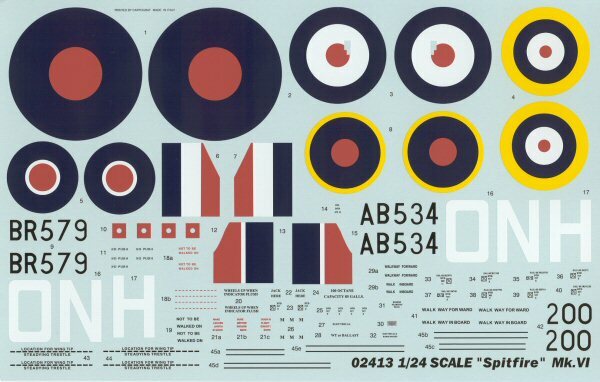 We'll focus on the Spitfire Mk.VI in particular. The Spitfire Mk.V was holding its own against the Luftwaffe at lower altitudes, but suffered in performance at higher altitudes. 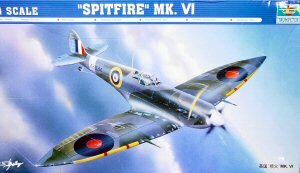 A quick-fix to the problem was to convert a few Mk.Vb airframes and produce around 100 high altitude versions of the Spitfire designated as Mark VI. The Mark VI was a Mark Vb airframe that had the supercharged Merlin 47 engine turning a four-bladed Rotol propeller and extended wingtips to improve lift at high altitude. The most important distinction was the least visible - a pressurized cockpit. The Mark VI was the first Spitfire to be pressurized and the solution was less than ideal. The cockpit had an air-tight bulkhead at the firewall and behind the pilot. 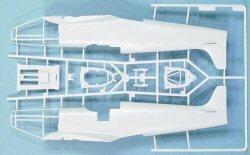 To minimize leakage, the entry door was eliminated (making cockpit ingress and egress even more challenging) and the sliding canopy was eliminated. When the pilot wedged himself inside the cockpit, the ground crew would bolt the canopy in place with four bolts, which would allow the rubber seals around the canopy to keep the pressure inside. An engine-driven air compressor pressurized the cockpit from outside air that was pre-heated from the aircraft's radiator. This was somewhat effective at altitude, but on the ground it was bloody hot with that canopy bolted shut. Even with all of these measures, the pressure ratio was still limited so that at 40,000 feet, the cockpit pressure altitude was 28,000. This meant that oxygen was still required, but the pilot could work relatively comfortably without the need for a pressure suit. Spending any time at 40,000 feet without pressurization could bring on the altitude decompression sickness, also known as the 'bends'. In all, 100 Mk.VI aircraft were produced for high altitude combat, and as technology improved with the Merlin engine and pressurization systems, future Spitfire HF versions would not only have better performance, they were also considerably more comfortable to fly. 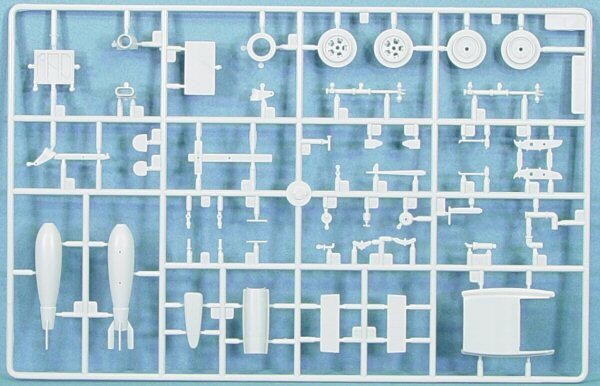 This kit is Trumpeter's previously released Spitfire Mk.Vb with a new sprue tree and decals. 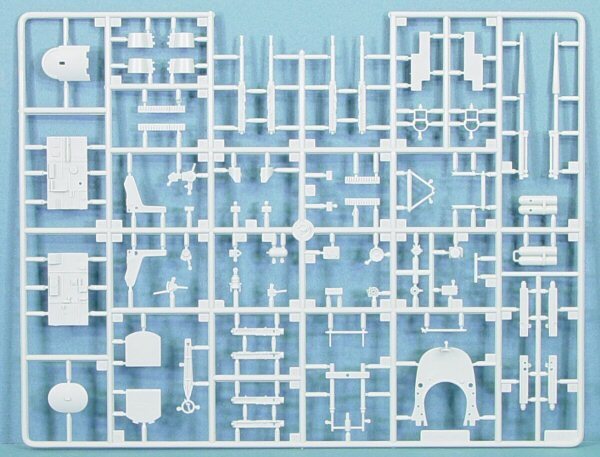 The kit is molded in light gray styrene and is a beautifully detailed model. From what I could gather from the experts who examined the previous Spitfire Mk.Vb release, the kit is accurate in shape and dimension and only had a few minor nits. The 'worst' nit was the top of the kit's horizontal stabilizers having a molded texture of a fabric covering while the undersides are metal. On the Mk.V (and Mk.VI), the top and bottom of the stabs were metal, while the elevators, rudder and ailerons were fabric covered. 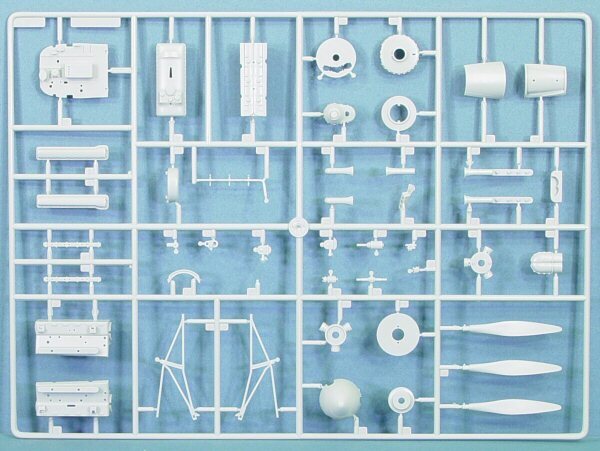 To facilitate a Mark VI version, Trumpeter provides a new sprue tree with the four-bladed Rotol propeller, spinner and extended wingtips. 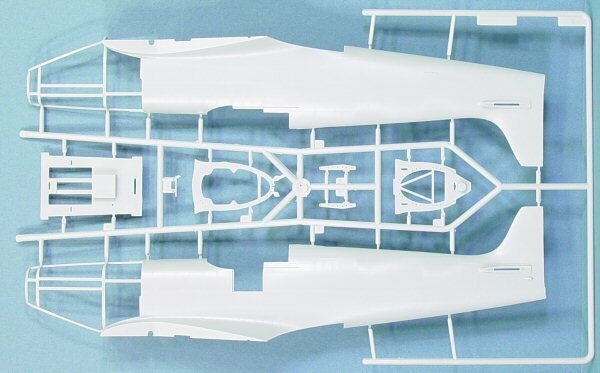 During assembly, you must cut off the existing wingtips and install the longer tips. That is the extent of the differences between the two kits. That unfortunately doesn't quite get you to a Mark VI. 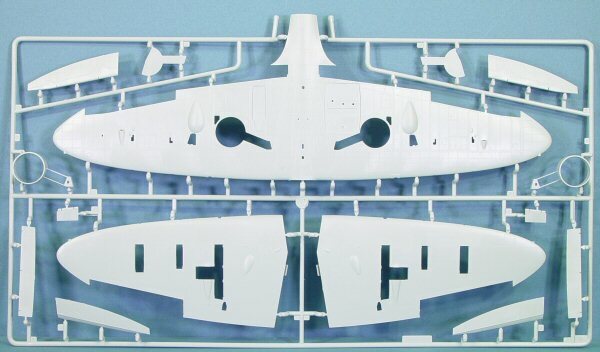 If you look at the sprue tree with the fuselage halves, you see the two open bulkheads that go behind the pilot. To pressurize the aircraft, the rearmost bulkhead on that tree (part A4) should be solid. That is an easy fix. 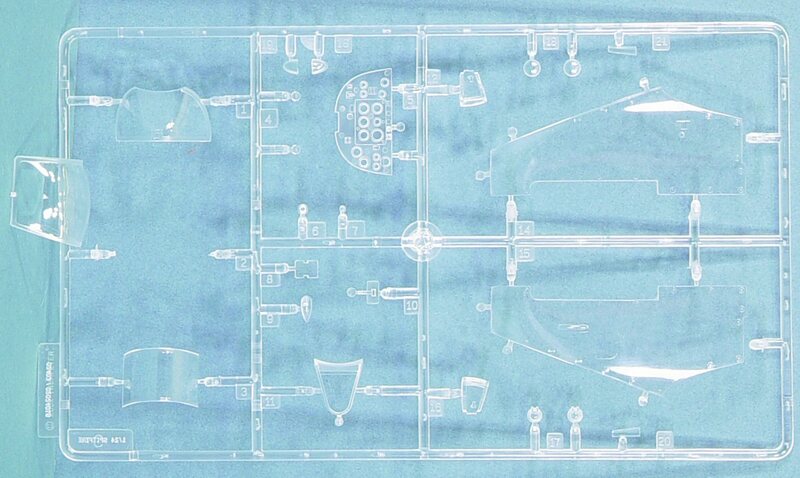 The entry door (part I1) was eliminated from the aircraft to simplify the air seal. Once again, simply glue part I1 in the closed position and remove the seam. 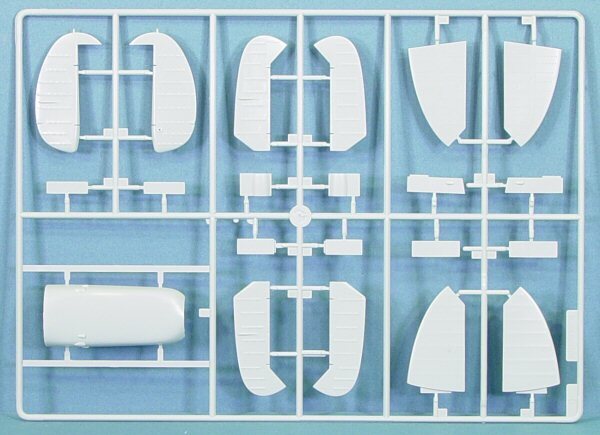 While you're filling that seam, also fill in the track on each side of the fuselage for the canopy slide. On this aircraft, the canopy didn't slide open or closed. It was lifted off and bolted into place. The canopy in the kit is the 'blown' type, but from what few photos I could get my hands on, the Mk.VI appears to use the 'streamlined' canopy with an oval vent on the port side. This should be easy enough to fabricate from acetate. One reference shows that the clear window behind the canopy had horizontal reinforcement strips to strengthen that area during pressurization. Check your references here. Another reference shows a special armor plate installed on the back of the pilot's seat. This too is an easy fix with sheet styrene. 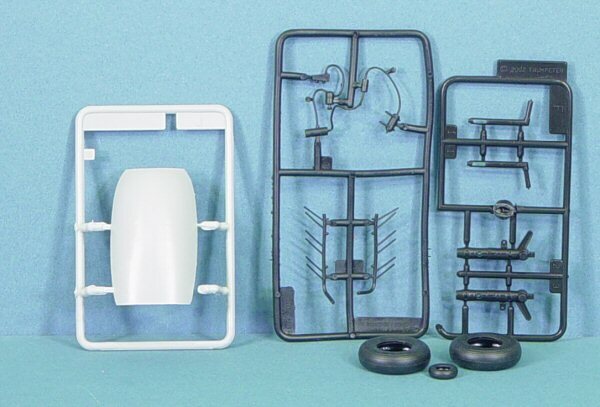 The kit engine is nicely detailed and the kit includes optional clear cowl sidepanels to show off the engine. While most folks wouldn't notice the differences, the kit doesn't have the minor detail differences of the Merlin 47, the air pressurization unit, nor the air scoops on the cowls for the air pressurization system. 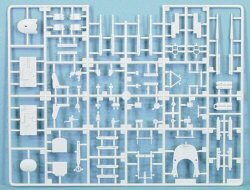 This is where a little scratchbuilding will complete the kit transformation into a Mark VI. 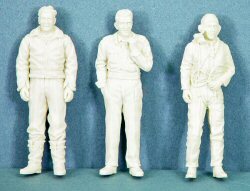 Three absolutely stunning resin figures are included in ths kit. 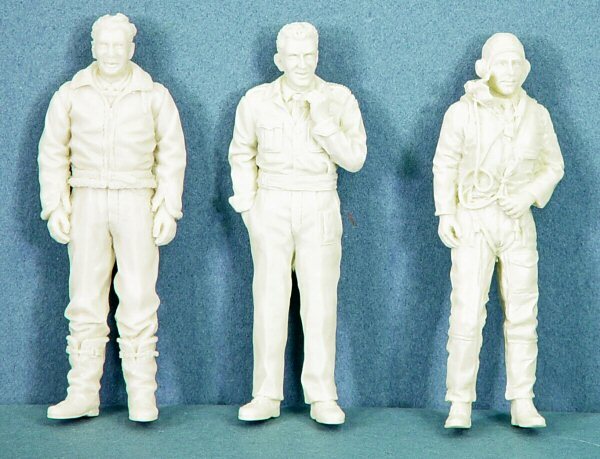 One is ready to fly, one is wearing his flight jacket, and the third is wearing normal uniform sans flight gear. 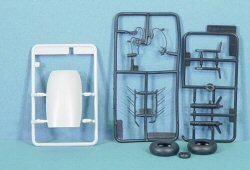 As I said earlier, this is a beautifully detailed kit and makes a great Mark Vb straight from the box. With the new parts and a little sheet styrene, you can also render a nice-looking Mark VI. The added bonus of these three figures is a definite plus!